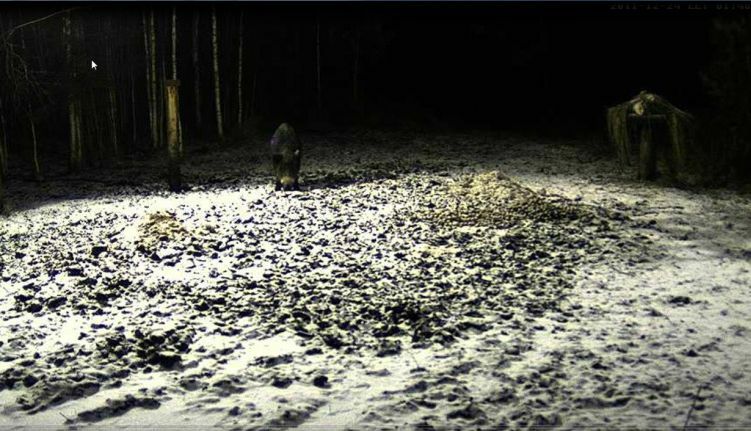 The fox makes frequent rounds to check the situation. 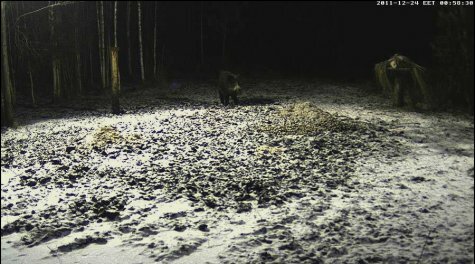 The raccoon dog pair with transmitters are an everynightly sight. 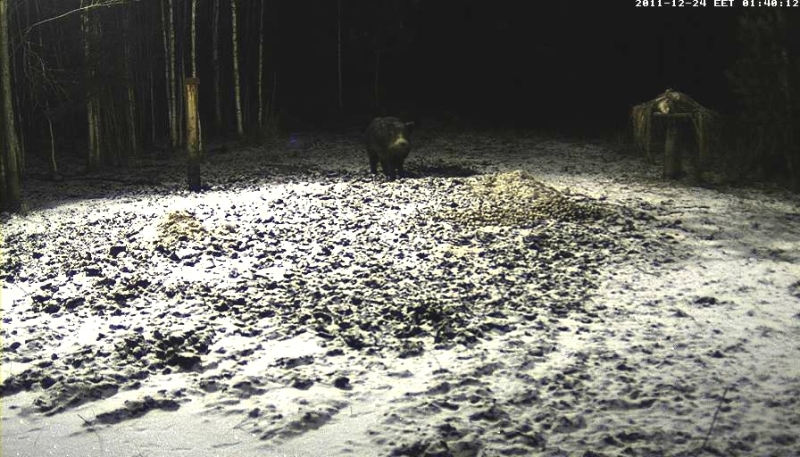 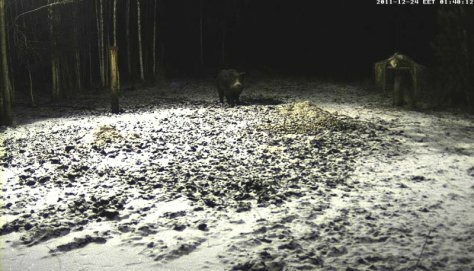 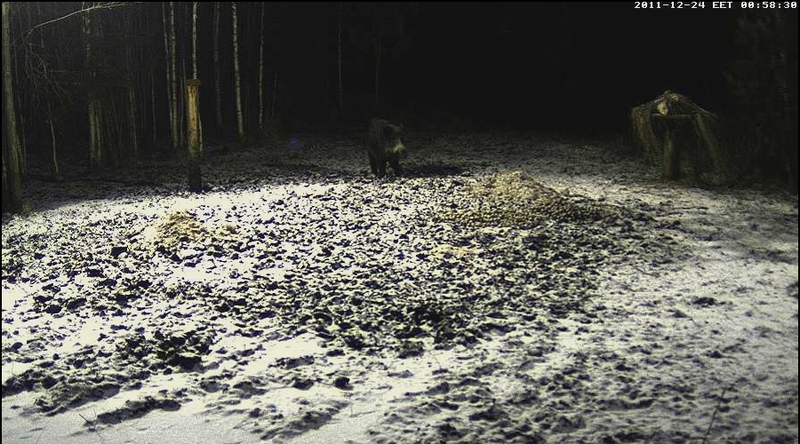 Already on Christmas Eve our friend the lonely young male boar was there too, he has not gone away anywhere. The weather report promises continued warm and windy-stormy weather.